PEX Tubing with oxygen barrier is used for radiant floor heating, ice/snow melting projects and baseboard/radiator heating applications. 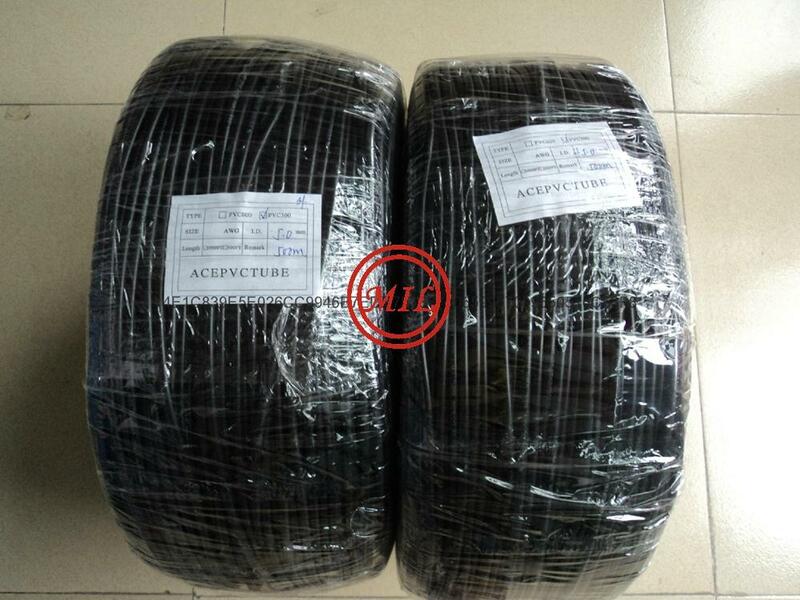 It is also commonly used for supply and return lines to boilers and fan coils. Pressure rated 100psi at 180F. PERT PIPE pipes of increased temperatures resistance(PE-RT), are produced by special type of polyethylene DOWLEX 2344 E. Their unique molecular structure gives them high mechanical resistance to pressure and temperature combined with great flexibility and easy installation, without cross linking requirement. They are particularly flexible with a smooth surface. They are produced according to DIN 16833/16834/4721/4726 specifications and are accompanied by quality certificates of german institutes, like SKZ for their mechanical resistance, MPA for oxygen barrier and by guarantee of 2.000.000 CHF, that covers their good function. Efield pert pipes are more specifically to installations of heating and sanitation with excellent results and their annual consumption is increasing year by year against other competitive pipes. They are produced in white or black color with UV stabilizers, with or without protective corrugated pipe. They are available in various coil lengths from 100m to 600m for single pipes and in 50m coils for pipes with protective corrugated pipe. They can be connected with many types of fittings, such as screw fittings, press fittings, speed fits, electro fusion etc. ●Linear elongation coefficient 1,95x10-4/K, according to DIN 53752 A at 20-70 OC. ●Resistance to corrosion and chemical substances. 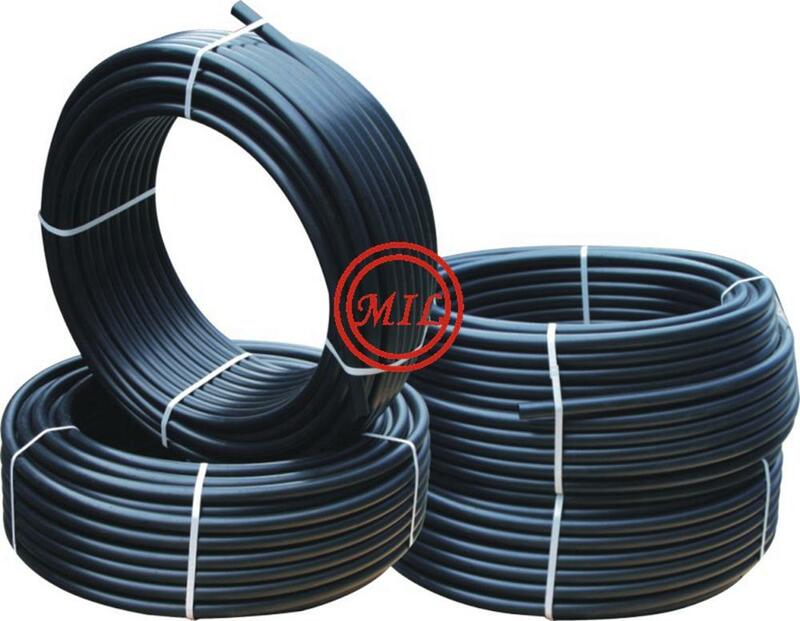 Specifications︰ Cross-linked polyethylene, commonly abbreviated PEX or XLPE, is a form of polyethylene with cross-links. 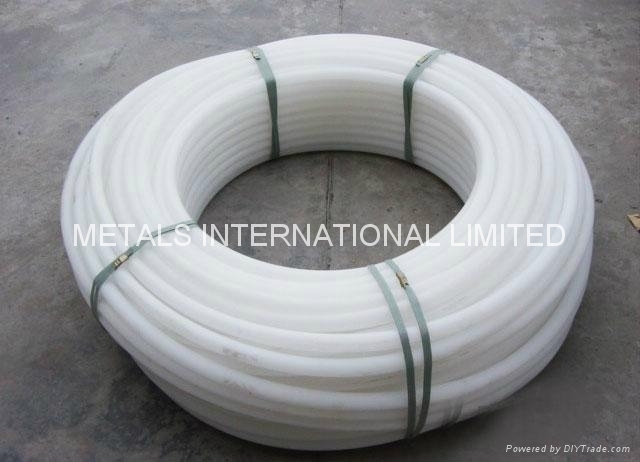 It is formed into tubing, and is used predominantly in building services pipework systems, hydronic radiant heating and cooling systems, domestic water piping, and insulation for high tension (high voltage) electrical cables. It is also used for natural gas and offshore oil applications, chemical transportation, and transportation of sewage and slurries. PEX has become a common alternative to polyvinyl chloride (PVC), chlorinated polyvinyl chloride (CPVC) or copper tubing for use as residential water pipes. 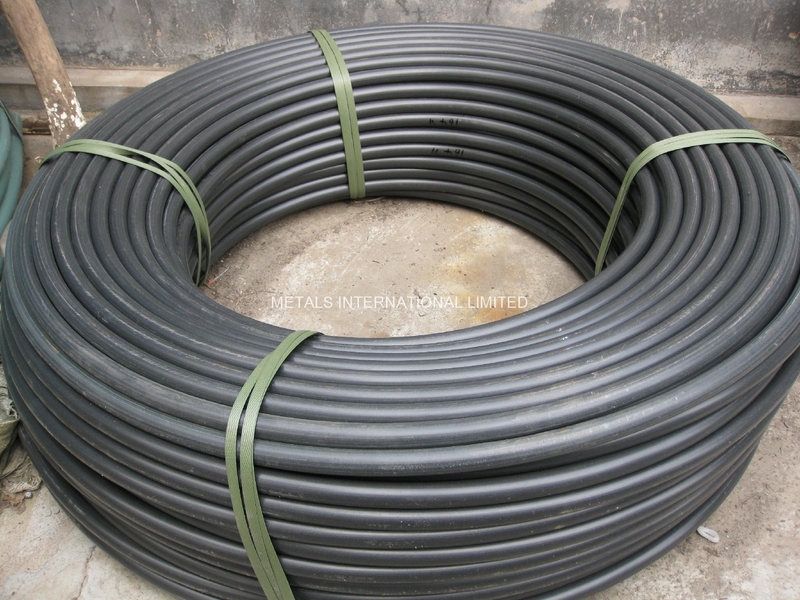 Almost all PEX used for pipe and tubing is made from high-density polyethylene (HDPE). PEX contains cross-linked bonds in the polymer structure, changing the thermoplastic to a thermoset. Cross-linking is accomplished during or after the extrusion of the tubing. The required degree of cross-linking, according to ASTM Standard F876, is between 65 and 89%. A higher degree of cross-linking could result in brittleness and stress cracking of the material, while a lower degree of cross-linking could result in product with poorer physical properties. Crosslinking improves the elevated-temperature properties of the base polymer. Adequate strength to 120–150 °C is maintained by reducing creep, the tendency to flow. Chemical resistance is enhanced by resisting dissolution. Low temperature properties are improved. Impact and tensile strength, scratch resistance, and resistance to brittle fracture are enhanced. Almost all cross-linkable polyethylene compounds (XLPE) for wire and cable applications are based on LDPE. XLPE-insulated cables have a rated maximum conductor temperature of 90 °C and an emergency rating up to 140 °C, depending on the standard used. They have a conductor short-circuit rating of 250 °C. XLPE has excellent dielectric properties, making it useful for medium voltage—1 to 69 kV AC, and high voltage cables—up to 380 kV AC-voltage, and several hundred kV DC. Numerous modifications in the basic polymer structure can be made to maximize productivity during the manufacturing process. For medium voltage applications, reactivity can be boosted significantly. This results in higher line speeds in cases where limitations in either the curing or cooling processes within the continuous vulcanization (CV) tubes used to cross-link the insulation. XLPE insulations can be modified to limit the amount of by-product gases generated during the cross-linking process. This is particularly useful for high voltage cable and extra-high voltage cable applications, where degassing requirements can significantly lengthen cable manufacturing time. 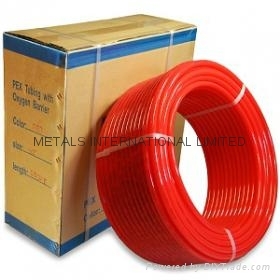 All PEX pipe is manufactured with its design specifications listed directly on the pipe. These specifications are listed to explain the pipe’s many standards as well as giving specific detailing about the manufacturer. The reason that all these specifications are given, are so that the installer is aware if the product is meeting standards for the necessary local codes. The labeling ensures the user that the tubing is up to all the standards listed. Materials used in PEX pipes in North America are defined by cell classifications that are described in ASTM standards, the most common being ASTM F876. Cell classifications for PEX include 0006, 0008, 1006, 1008, 3006, 3008, 5006 and 5008, the most common being 5006. Classifications 0306, 3306, 5206 and 5306 are also common, these materials containing ultraviolet blockers and/or inhibitors for limited UV resistance. In North America all PEX tubing products are manufactured to ASTM, NSF and CSA product standards, among them the aforementioned ASTM standard F876 as well as F877, NSF International standards NSF 14 and NSF 61 ("NSF-pw"), and Canadian Standards Association standard B137.5, to which the pipes are tested, certified and listed. The listings and certifications met by each product appear on the printline of the pipe or tubing to ensure the product is used in the proper applications for which it was designed. In European standards. there are three classifications are referred to as PEX-A, -B, and -C. The classes are not related to any type of rating system. PEX-A is produced by the peroxide (Engel) method. This method performs "hot" cross-linking, above the crystal melting point. However, the process takes slightly longer than the other two methods as the polymer has to be kept at high temperature and pressure for long periods during the extrusion process. The cross-linked bonds are between carbon atoms. The silane method, also called the "moisture cure" method, results in PEX-B. In this method, cross-linking is performed in a secondary post-extrusion process, producing cross-links between a cross-linking agent. The process is accelerated with heat and moisture. The cross-linked bonds are formed through silanol condensation between two grafted vinyltrimethoxysilane (VTMS) units, connecting the polyethylene chains with C-C-Si-O-Si-C-C bridges. PEX-C is produced through electron beam processing, in a "cold" cross-linking process (below the crystal melting point). It provides less uniform, lower-degree cross-linking than the Engel method, especially at tube diameters over one inch (2.5 cm). When the process is not controlled properly, the outer layer of the tube may become brittle. However, it is the cleanest, most environmentally friendly method of the three, since it does not involve other chemicals and uses only high-energy electrons to split the carbon-hydrogen bonds and facilitate cross-linking. All pipes, including this copper exterior valve as well as PEX, can burst from freezing, although several reports suggest that PEX takes longer to burst under freezing conditions. PEX's flexibility means fewer connections, better water flow, faster and easier installations. A PEX compression fitting makes it possible to join copper and PEX pipes by simply pushing them together for a watertight fit. Brass crimp fittings, another popular type of fittings primarily used for connection PEX to PEX, PEX to Threaded pipes. 1.Drop Ear Elbows connect PEX and threaded pipe at a 90-degree 2.PEX to Copper Solder Adapter 3.PEX to Copper Threaded Adapter 4.PEX to Female Threaded Adapter 5.PEX Plug - terminate end of pipe 6.PEX to PEX Coupling 7.PEX to PEX 90-degree Elbow 8.PEX to Copper Adapter 9.PEX to Copper 90-degree Elbow 10. PEX x PEX x PEX 3-way PEX Tee. Tools and fittings used in a plumbing installation with PEX piping. (1) crimping tool to squeeze a metal band to join a pipe and a fitting (2) compression coupling joining two 1/2 inch pipes (copper or PEX) (3) "T-joint" to connect 3/4", 3/4", and 1/2" pipes (4) Copper-to-PEX 1/2" connection (requires soldering) (5 and 6) tools to undo PEX connections (7) crimp rings to squeeze metal band to connect PEX to a fixture (8) PEX tube cutter. 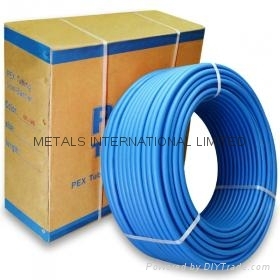 PEX tubing is widely used to replace copper in plumbing applications. One estimate is that residential use of PEX for delivering drinking water to home faucets has increased by 40% annually, and there is substantial evidence that PEX is or will soon become the dominant technology for carrying water in homes and businesses in the next decade or so. In 2006, The Philadelphia Inquirer recommended that plumbing installers switch from copper pipes to PEX. Gradually, PEX became more accepted for more indoor plumbing uses, such as carrying pressurized water to fixtures throughout the house. Increasingly, in the 2000s, copper pipes as well as plastic PVC pipes are being replaced with PEX. PEX can be used for underground purposes, although one report suggested that appropriate "sleeves" be used for such applications. PEX has become a contender for use in residential water plumbing because of its flexibility. It can bend into a wide-radius turn if space permits, or accommodate turns by using elbow joints. In addition, it can handle short-radius turns, sometimes supported with a metal brace; in contrast, PVC, CPVC and copper all require elbow joints. 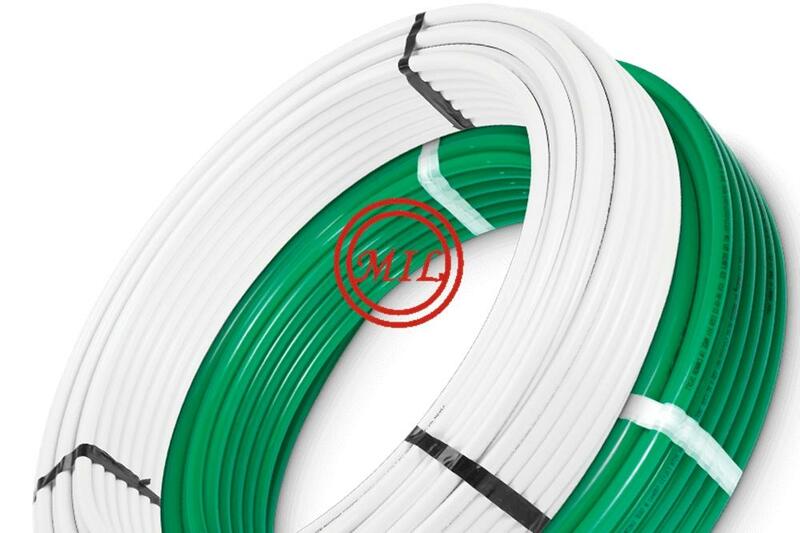 A single length of PEX pipe cannot handle a sharp 90-degree turn, however, so in those situations, it is necessary to connect two PEX pipes with a 90-degree PEX elbow joint. PEX can run straight from a distribution point to an outlet fixture without cutting or splicing the pipe. This reduces the need for potentially weak and costly joints and reduces the drop in pressure due to turbulence induced at transitions. Since PEX is flexible, it is often possible to install a supply line directly from the water source to an appliance using just one connection at each end. Greater water pressure at fixtures. Since PEX pipes typically have fewer sharp turns, there is greater water pressure at the sinks and showers and toilets where it is needed. Cost of materials is approximately 25% of alternatives. One account suggested that the price of copper had quadrupled from 2002 to 2006. Easier installation. Installing PEX is much less labor-intensive than copper pipes, since there is no need to use torches to solder pipes together, or to use glue to attach pipes to fittings. One home inspector wrote that "Once you've worked with PEX, you'll never go back to that other stinky glue stuff." Builders putting in radiant heating systems found that PEX pipes "made installation easy and operation problem-free". PEX connections can be made by pushing together two matching parts using a compression fitting, or by using an adjustable wrench or a special crimping tool. Generally, fewer connections and fittings are needed in a PEX installation. Non-corrodible. PEX, unlike copper, is not subject to corrosion from minerals or moisture. No fire risk during installation. The oldest and most common method for joining copper piping is to solder pieces together using a torch. With an open flame there is always the risk of causing a fire in the surrounding structure, but PEX installation does not require a flame. Ability to merge new PEX with existing copper and PVC systems. Manufacturers make fittings allowing installers to join a copper pipe on one end with a PEX line at the other, as well as giving options to reduce or expand the diameter of the pipes. Suitable for hot and cold pipes. A convenient arrangement is to use color-coding to lessen the possibility of confusion. Typically, red PEX tubing is used for hot water while blue PEX tubing is used for cold water. Less likely to burst from freezing. The general position is that PEX plastic materials are slower to burst than copper or PVC pipes, but that they will burst eventually since freezing causes water to expand. One account suggested that PEX water-filled pipes, frozen over time, will swell and tear; in contrast, copper pipe "rips" and PVC "shatters". Home expert Steve Maxwell suggested in 2007 that PEX water-filled pipes could endure "five or six freeze-thaw cycles without splitting" while copper would split apart promptly on the first freeze. In new unheated seasonal homes, it is still recommended to drain pipes during an unheated cold season or take other measures to prevent pipes from bursting because of the cold. In new construction, it is recommended that all water pipes be sloped slightly to permit drainage, if necessary. Environmental benefits. 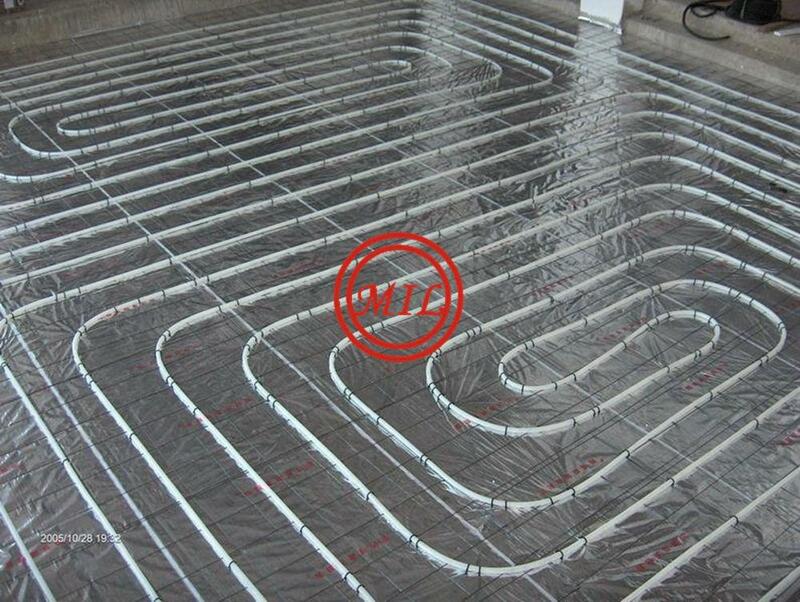 One account suggested that PEX used in radiant heating was better for the environment than copper, although it noted that the pipes were based on petroleum products.